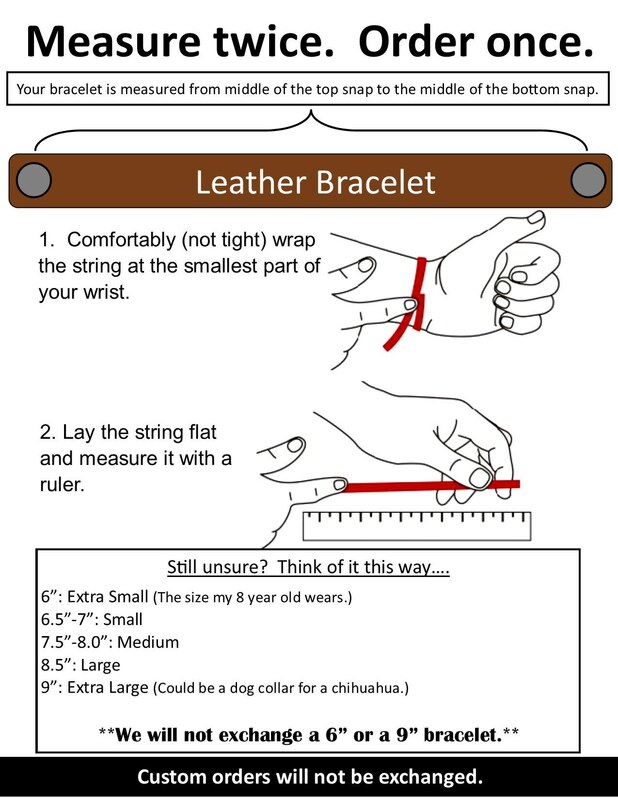 Made from genuine, premium 7 ounce single bend leather. 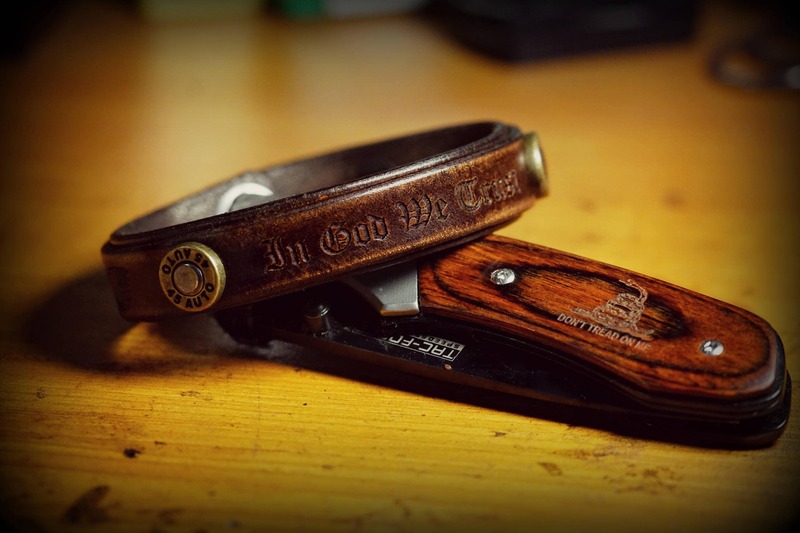 This is a double banded leather wristband that comes engraved with "In God we Trust", but can be custom engraved at no additional charge. It also comes fitted with two of our brass .45 conchos. We use the highest grade leather on the market, and do all of our own dye, and finish work in house.